Happy Friday! It is that time once again, when the night is filled with strange-looking creatures who come knocking at your door – no not politicians seeking your vote – I mean kids dressed in costume out for “Trick or Treat.” So enjoy the opportunity to see the little ones and not-so-little once dressed up and don’t hoard the Butterfingers and Snickers for yourself while only giving out the Smarties! 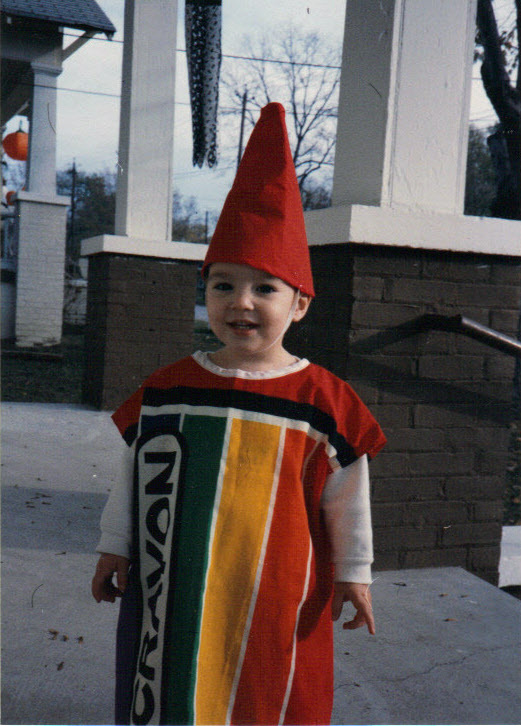 For me Halloween has always been about the candy. It wasn’t about scary stuff or pranks, it was about candy! When else do you get to go to every house in the neighborhood, knock on the door, ask for candy and actually receive candy in return? I can still remember the excitement of coming home and dumping out the pillow case (no small plastic pumpkin for me!) as all the goodies would pile out onto the floor in one glorious heap of blissful, useless calories. I am thankful that my Trick or Treat days were before the advent of that hideous abomination called “fun-size”. Who came up with that anyway? How is one fourth the size more fun than full size?? When I was young (a long. long time ago in a galaxy far, far away) costumes were simpler – a plastic cigar that could shoot out baby powder instantly transformed you into a hobo. A sheet with a few holes made you a ghost – the effect was not quite the same if the sheet had a flowered pattern. Although I think I am still traumatized from the time my sister dressed me up in her Girl Scout uniform for Treat or Treat (probably why I have never been that big of a fan of Girl Scout Cookies). When my boys were little, every year I would suggest that they dress up like an accountant for but for some odd reason they never wanted to buy into that idea. So, be nice to the little ones that come knocking at your door tonight and take advantage of the opportunity to meet your neighbors and their little ones. But if you want to make a good impression, there are some treats you should banish from your goody bowl. The Internet is brimming with lists of the worst Trick or Treat Candies. So after surveying those, and interjecting my own opinion, here is my list of candies to avoid passing out this weekend. 10. Bubble gum – chewing it just keeps you from moving onto the chocolate. 9. Stickers – can’t eat them and Mom won’t let you put them on the furniture. 8. Coupons – Trick or Treat is a time for instant gratification. 7. Anything homemade – Mom knows all the urban legends. 4. Raisins – unless they are chocolate covered. Don’t disappoint young ones by giving them something healthy. 2. Little wax bottles filled with juice – is it a drink or a chew – the world may never know as no one will ever know what is actually in those little bottles either. My parents never wanted to let me carve a jack-o-lantern, They just made me stand in the window on Halloween. It really wasn’t that bad except the candle would burn the roof of my mouth after a while. This entry was posted in Friday Funny, Humor and tagged trick or treat on October 29, 2015 by Leonard.